Are Drug Companies Responsible for the Growing US Opioid Epidemic? A panoptic coalition of US state attorneys general has formed a bipartisan committee aimed at looking into the marketing and sales practices of companies that make opioid pharmaceutical drugs. The goal for this coalition is to investigate what role these manufacturers may play in the growing opioid epidemic across the United States. 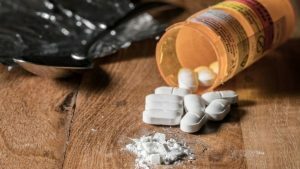 According to a statement from the United States Centers for Disease Control and Prevention, at least 33,000 people died from opioid overdose in 2015. More importantly, almost half of these fatalities involved prescription opioids, not the street-bought kind. As a matter of fact, the data shows that three out of four heroin users start with legal narcotics—like oxycodone or hydrocodone—that are either chemically similar or a chemically derivative of the poppy plant; the very same plant from which illicit drug manufacturers make the street drug heroin. For now it is not clear just how many states are involved with this investigation but analysts suggest that it may just be too early in the process to know for certain. Perhaps in time the participants will reveal themselves.